J.K. Rowling has finally confirmed Dumbledore and Grindelwald had an ‘intense sexual relationship’. Both Rowling and director David Yates (Fantastic Beasts) have previously been cagey on the subject of Dumbledore’s sexuality and his relationship with the villainous wizard Grindelwald. While the writer did reveal that Dumbledore is gay, and was in love with Grindelwald, after publishing the hit Harry Potter books, this was never mentioned in either the books or films. While fans hoped a reference would be made in the Fantastic Beasts movies, their dreams were dashed. However, in the commentary track included on the Blu-ray and DVD release of the latest film, Fantastic Beasts: The Crimes of Grindelwald, Rowling and Yates have assured fans the wizards had an intense relationship. It was passionate, and it was a love relationship. But as happens in any relationship, gay or straight or whatever label we want to put on it, one never knows really what the other person is feeling. You can’t know, you can believe you know. So I’m less interested in the sexual side – though I believe there is a sexual dimension to this relationship – than I am in the sense of the emotions they felt for each other, which ultimately is the most fascinating thing about all human relationship. 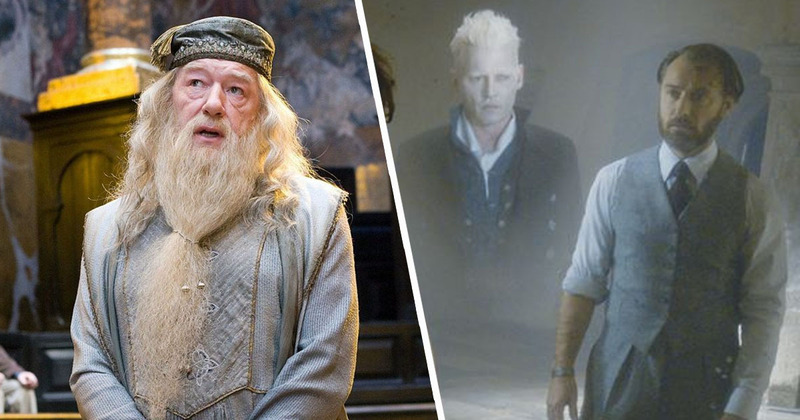 In the Fantastic Beasts series, Jude Law plays Dumbledore while Johnny Depp is Grindelwald. I was very conscious of wanting to try to suggest that Dumbledore still held this affection for Grindelwald. There was not just regret, but there was still a love that existed between the two men. This is a story about two men who loved each other, and ultimately have to fight each other. It’s a story for the 21st century. Rowling is well known for adding further context to her work, revealing to fans earlier this year that Hogwarts didn’t always have proper plumbing. Hogwarts didn’t always have bathrooms. Before adopting Muggle plumbing methods in the eighteenth century, witches and wizards simply relieved themselves wherever they stood, and vanished the evidence. What about the Chamber of Secrets, you ask? The new plumbing almost revealed the Chamber’s entrance. ‘Vanished the evidence’… magic can really do wonderful things!